Straw-plaiting was a cottage industry which helped poor families supplement their income, and was something in which even young children could play a part. Starw plaiting in the 1850’s, as illustrated in the London News. 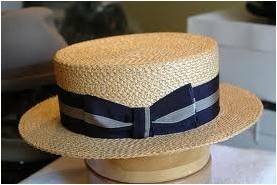 The straw plaits were used for making into hats, and were brought up by traders who took the plaits to Luton which was the centre of the hat-making industry. In the 1860s, there was a straw plaiting school in the village, though no details of its activities or numbers involved has, as yet, been found. 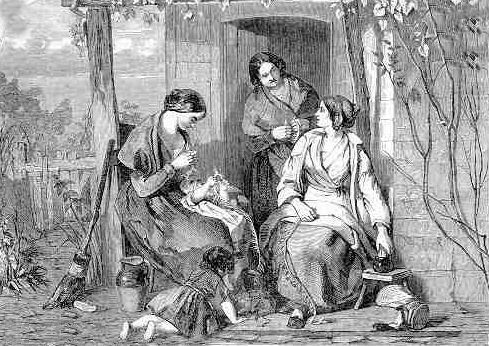 Census records show us that there were 26 females, aged between 8 and 30, engaged in plaiting in 1851. This rose to 33 plaiters in 1861, but dropped to 20 in 1871 and just 5 in 1881. There were no plaiters recorded in subsequent censuses. It was competition from abroad, where production costs were cheaper, that finally put paid to the local industry.